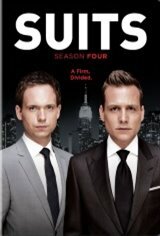 Mike Ross (Patrick J. Adams), despite not having a law degree, finds a job working with Harvey Specter (Gabriel Macht), one of New York City's best lawyers. When Mike leaves Pearson Specter for an investment firm, Mike and Harvey find themselves on opposing sides. The SEC strengthens their case against Pearson Specter and Mike and Rachel (Meghan Markle) have to fight to save their relationship.